Our Faith Families share a simple purpose: being families that are fruitful and multiplying. Read what that looks like below. When you’re ready, get in touch so we can help you join a Faith Family. Each Faith Family gathers weekly (ish) so that true fellowship can happen. It’s dinner and hanging out. It’s stories and playing and prayer and movies and close friends and new faces. It’s showing up, and practicing the way of Jesus together. We all have a part to play in applying all the Good News to all of life for all our family. That’s our view of discipleship. Each Faith Family finds times and ways to make this happen. One is a “Huddle” - we study God’s Word, pray, and keep each other accountable for growth. Your Faith Family is where you’ll practice mission: showing hospitality, blessing your neighbours, and sharing the Good News of Jesus. 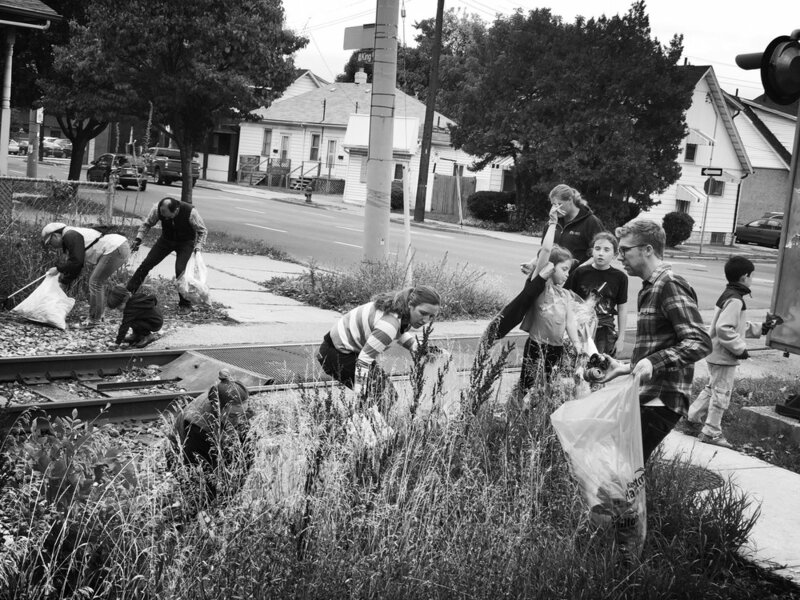 Some ways have included a community garden and neighbourhood trash clean-ups. In your neighbourhood, what should the mission of Jesus look like?